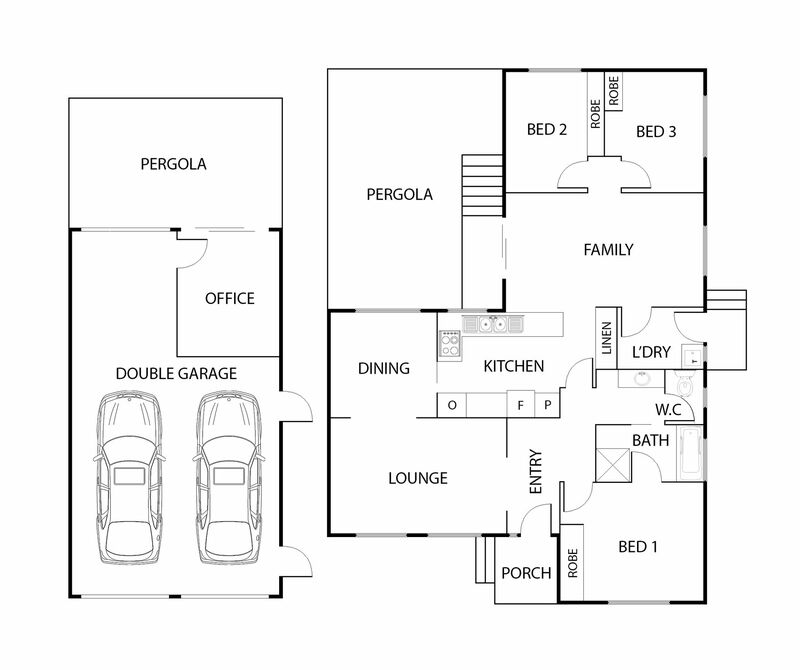 Here is a property that boasts a fabulous, family friendly floorplan. Delivering a sensible split between living and bedroom areas, with the master situated at the front of the home along with the formal lounge and dining rooms. Vast windows flood the home with natural light and provide view points to the surrounding yard which is great for keeping a watchful eye on kids and pets. The kitchen has a functional layout making cooking or catering a stress-free activity. Generous cupboards and practical work surfaces, including a breakfast bar, ensure you have plenty of room to move around in. Electric appliances keep things simple, with hot plates and a wall oven, plus dishwasher and generous fridge space all included. Central within the home, the wet areas provide three access points. Ideal for day to day living and easily accessible to guests, the space is roomy and well organised. Light toned tiles and complimentary white fixtures work well within the space, and the shower bay and bath ensure adults and kids alike can relax in this serviceable space. Adjoining the kitchen in the middle of the home, the family room stretches the width of the home. Creating a great space, with an open plan feel, and easy access to the kitchen and also rear access to the pergola area and garden beyond. The additional bedrooms sit at the rear of the home and are of equal size. Large windows are included and you will find these rooms are close enough for kids and keeping an eye on them and yet far enough away from the master, that your privacy is assured. Thoughtful inclusions are found throughout the house with ducted gas heating and evaporative air, ceiling fan and slim line timber blinds. Hardwearing timber floating floors and serviceable tiling make it an easily maintained property. Set on a large level, fully landscaped block, the home has been thoughtfully finished with an integrated entertainment pergola attached. The double garage includes a fully insulated office complete with split system and the circular drive way can accommodate all your parking needs. Perfect for those who want a fuss free, low maintenance lifestyle, this property will also lend itself to further developing and could easily be extended, subject to planning and approval, with loads of rear garden space.